Via Megan McArdle, Howard Gleckman at TaxVox summarizes the #1 tax problem identified this year by Nina Olsen, the National Taxpayer Advocate at the Internal Revenue Service: complexity. workers. Individual taxpayers are so befuddled by the Code that she reports 89 percent either pay a preparer or buy commercial software to help with the paperwork. 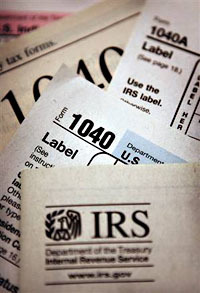 The total cost of compliance in 2008, Olsen estimates, was $163 billion, or more than 11 percent of total income tax collections. The average out-of-pocket cost per taxpayer: $258. Something is very wrong when we have to pay a vendor $258 just to perform the most basic of civic duties. But aside from these kinds of loans, why do low and middle-income filers use any tax preparation at all? Most of them have only wage income and very simple filing requirements. The reason varies, of course, but a lot of it is due to the complexity and auditing requirements associated with the Earned Income Tax Credit. And why is the EITC audited so vigorously? Because Republicans insist on it. We don’t want poor people gaming the system for a few hundred extra dollars, after all. This might not be so bad (there really is a certain amount of fraud associated with EITC claims) except that….. This post isn’t a disagreement that we ought to have a simpler tax code. It’s just a reminder that a big part of the reason for that complexity is that rich people want it that way. A simple tax code is hard to game, after all. If we really, truly tried to create a simpler tax code that removed all the common ways that high-income taxpayers fleeced the system, the loudest cries of anguish would come from conservatives, not liberals.